Made in the Shade Blinds franchise business opportunity. 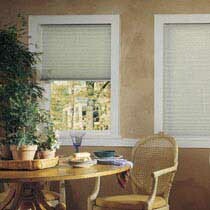 Free Made in the Shade Blinds business franchise information. Are you ready to own your own business? Are you looking for a simple, home-based enterprise with a low investment and great support and benefits? Join a $5.3 billion a year industry! Made in the Shade is a home-based window coverings business which offers customers the convenience of purchasing high quality blinds, shades, shutters and more at great prices right in their own homes! With Made in the Shade, you will enjoy easy start-up, no overhead (no storefront and no inventory), the freedom to set your own hours and work from a home base, exclusive sales territories, and brand name blinds, shades, shutters and more at Volume One lowest prices. One of the primary benefits to belonging to our buying group is the ability to tap into our deep discounts, volume pricing and special promotions. We have developed long-lasting relationships with our major, brand name manufacturers. This one factor alone is invaluable to you as it provides you with loyal vendors who are dedicated to your growth and continued success. This allows you to obtain most products at substantially lower prices, which can significantly increase your competitive edge in your designated sales territory. Low start-up - lowest overhead in the industry. No franchise fees, royalties or future costs - EVER! A 3-day intensive training course plus ongoing support. Group buying power -Volume One lowest prices. Dozens of samples from our name brand manufacturers (best sellers). Customized software and book-keeping system. All the training tools and resources needed to own and operate your own business. Are you ready to own a fabulous new business, help people make their homes more beautiful and comfortable, and control your future? To learn more about the Made in the Shade business opportunity, simply complete the form below.